My speciality is making bespoke clothing & costumes for men, women & children of all ages, shapes & sizes. Plus, I undertake garment alterations and can make accessories. I make to my clients' personal measurements wherever possible. Clients must be available for fittings at various key stages - first in a calico mock-up of the garment, then in the 'real' fabric. The amount of fittings varies from garment to garment. Most clients purchase their own fabrics, but I can advise & help with sourcing. If a client provides a commercial pattern it must be in the correct size for their actual measurements. Fittings must be done with the underwear & shoes the client will be wearing with the finished garment, so that we get the right silhouette & length (this mainly applies to fitted garments & costumes). - we speak on the phone or via e-mail. - we meet for an initial consultation to discuss design, fabric, time scales, price etc. If appropriate, I take your measurements & we arrange a first fitting appointment. At this point a deposit is required. - first fitting, in the calico mock-up. We arrange our next meeting. Fittings continue as neccessary, in calico or the 'real' fabric. 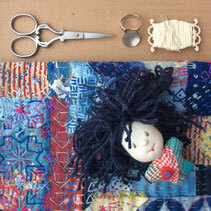 Once the 'real' fabric is cut, no design details can be altered. 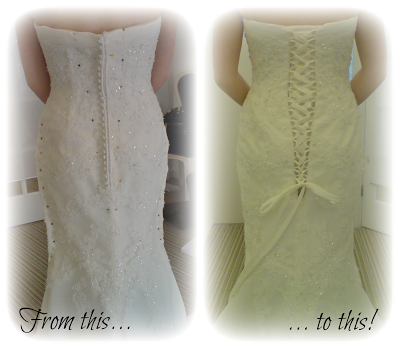 - final fitting/check, final payment is made, then you can take it home! This list is intended as a guide. It includes only a small selection of what I make. Prices shown are for labour only - not including fabrics - and are for machine stitched, hand finished garments. I can help clients source fabrics if necessary. All shapes, sizes, needs and personal orientations are welcome. Exact prices are dependent on design, and a quote can be given after discussion with the client. Clients are required to pay a deposit and sign a Statement of Work before work commences. More information is on it's way! * Please note that these prices are approximate and do not include fabrics. Contact me to discuss your needs and for a full quote.